Technology is not merely there to boost our productivity or allow us to do things we weren’t able to do before. Instead, it’s also there to make your life much easier by facilitating minor tasks and eliminating your need to manually handle them. This helps your household live up to its full potential, as well as makes it more hospitable, pragmatic and even frugal. With that in mind, here are four smart innovations that could help achieve all of this without much effort. Imagine a scenario where you return home from a long day at work, only to find that it’s freezing inside, seeing as how you set the thermostat low (or turned it off) before leaving the place. The choice you have here is a desperate one. You can either leave the thermostat on for the entire duration of your absence, which is 9 or 10 hours (depending on the length of your commute) or return to a freezing home. With the help of a smart thermostat, this is no longer a choice that you’ll have to make. Now, you’ll be able to both automate and remotely control the temperature within your home, even when you are away. When it comes to smart innovation, the majority of people immediately think about pragmatism, yet, not a lot of them consider the aspect of safety. While even a regular smoke detector serves its primary purpose, you need to keep in mind that smart smoke detectors tend to be much more reliable. First of all, they can alert you that something’s going on even when you’re not at home. Second, you get a simple and reliable way of monitoring the battery of the detector in question at any given moment. This can help you restock and change the item at the right moment, and even avoid late night low-battery chirps. 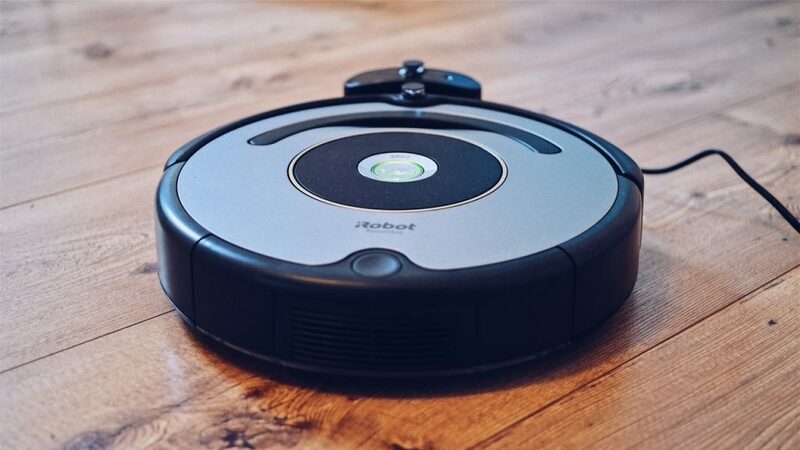 The next item that every household needs to invest in is a reliable robot vacuum cleaner. This is a device that saves time, seeing as how you get one less household chore to worry about. Needless to say, this device is a proper life-saver for people with mobility issues and disabilities. Due to the fact that most of these devices come with an automatic recharging option, the maintenance of the gadget is as simple as it gets. Other than this, most of these cleaners come with a sophisticated dirt sensor, which means that your house will end up being more immaculate than if you were to clean it manually. Other than this, the option of cleaning your home even while you’re away definitely comes as a huge plus. While this may not seem as a revolutionary invention, you need to understand just how much of a difference something as simple as this can make in your life. First of all, most Wi-Fi kettles have the ability to track your whereabouts via your phone’s GPS and be programmed to turn on as soon as you enter your home. This is the so-called welcome home mode. Other than this, you also get a chance to program it so that the water is ready about the time you’re going to wake up, or turn it on via your smartphone while sitting with your guests in the living room. These few options alone are more than enough to justify the necessity for such an item. The best thing about these four devices is the fact that, impressive as they sound, you won’t be able to see their full benefit until you finally start using them. Once you try each of these devices out for yourself, you won’t be able to remember how you could ever live without them.